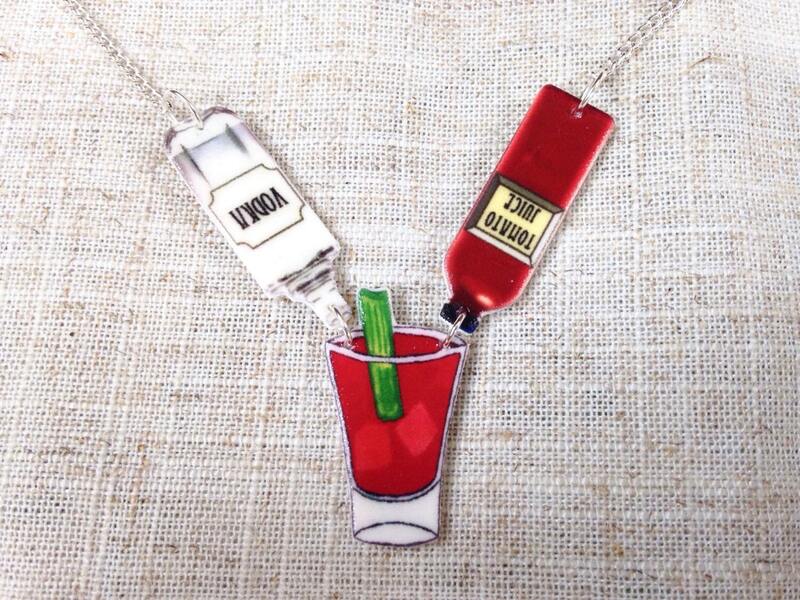 A Bloody Lovers Christmas List! Children always have a long wish list of gifts they want to see under the tree, but that doesn’t mean adults can’t have fun during the holiday season too. And face it, adults are going to need some liquid relaxation after all the political arguments and family drama. 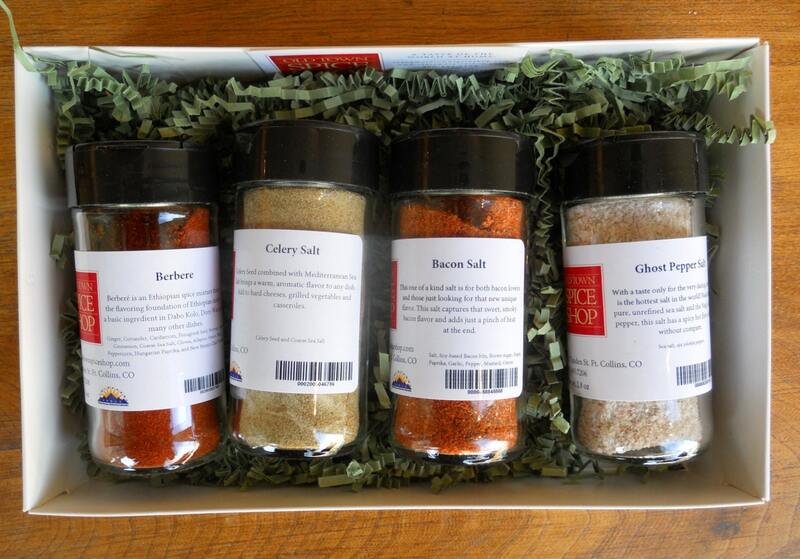 Bloody Mary spice gift box – $25 – A set of 4 spices to improve your homemade Bloody Marys. 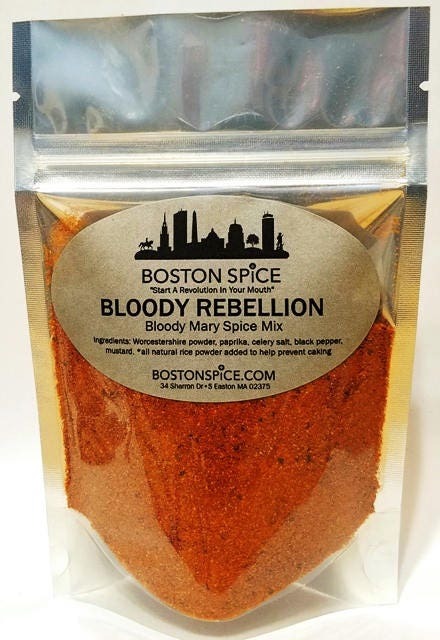 Includes celery salt, bacon salt, ghost pepper salt and Berbere, an Ethiopian blend of toasted spices that is traditionally very hot, but made here more mild so everyone can enjoy it. This particular set sounded delightful to me because of variety of flavors it offered. Bloody Mary Travel Mug – $8.99 – You’ve seen the travel mugs that say things like “This may be vodka” etc, this time, add the tomato juice! And you can get it personalized, so everyone knows who the Bloody lover in the room is. 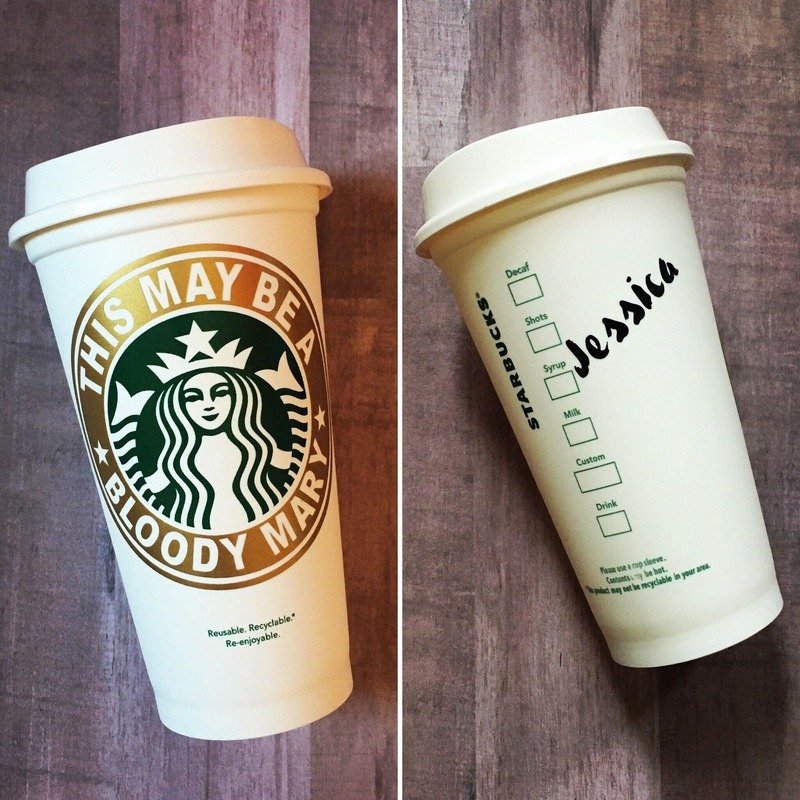 And if you really want to emulate the true Starbucks experience, you could personalize it with some bastardized version of your name! 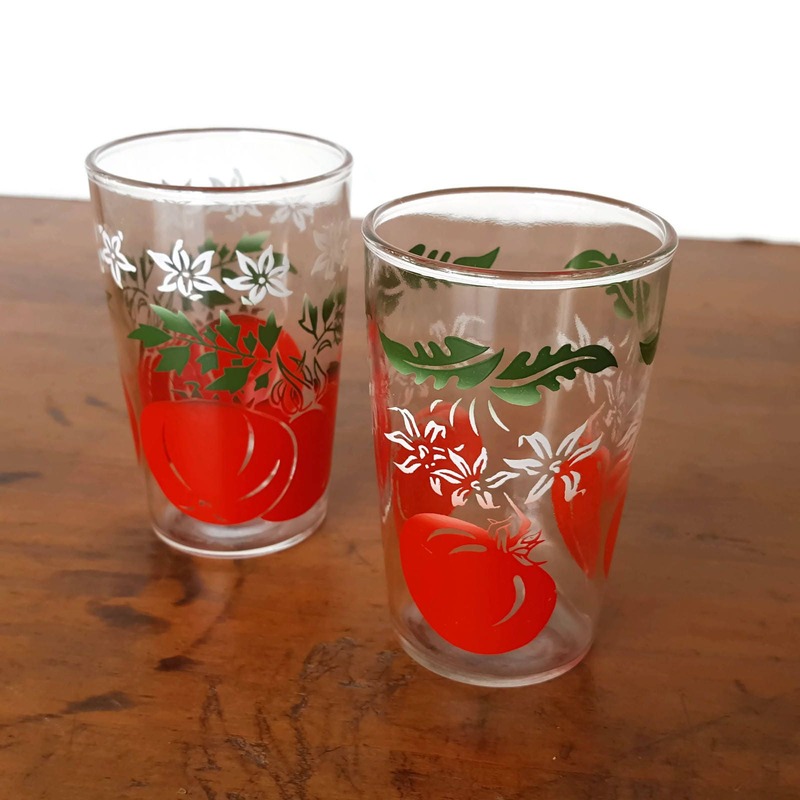 Tomato Juice Glasses – $12 – Not Bloody Mary related per se, but look at these super cute tomato glasses. Not quite shot glass size, but not a full glass, they’re perfect for a beer chaser, if you are one of those kind of Bloody Mary drinkers. 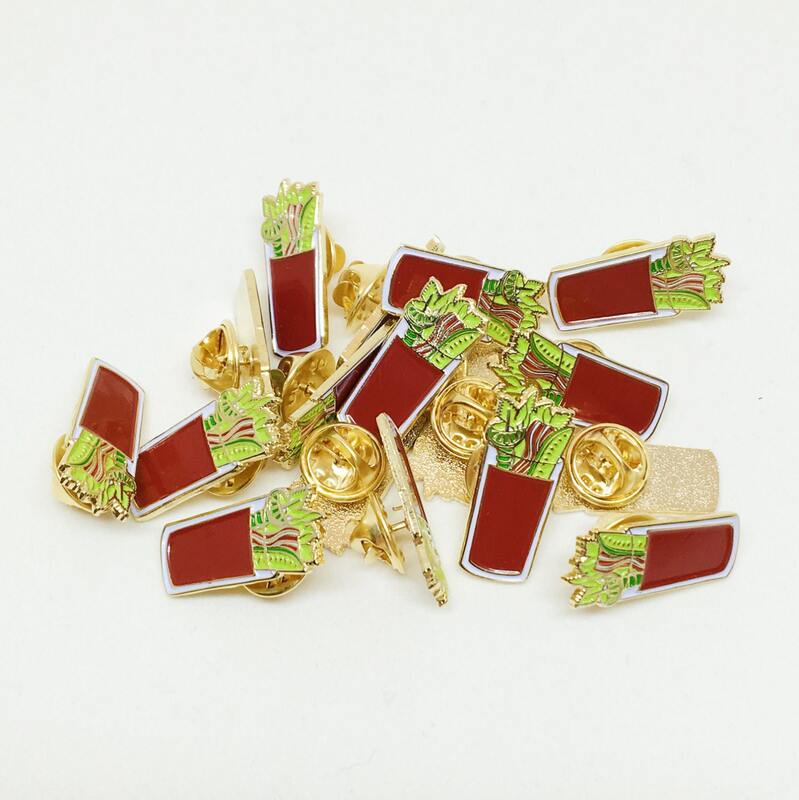 Since this is a vintage item, there is only one available, so if you want them jump on them right away! 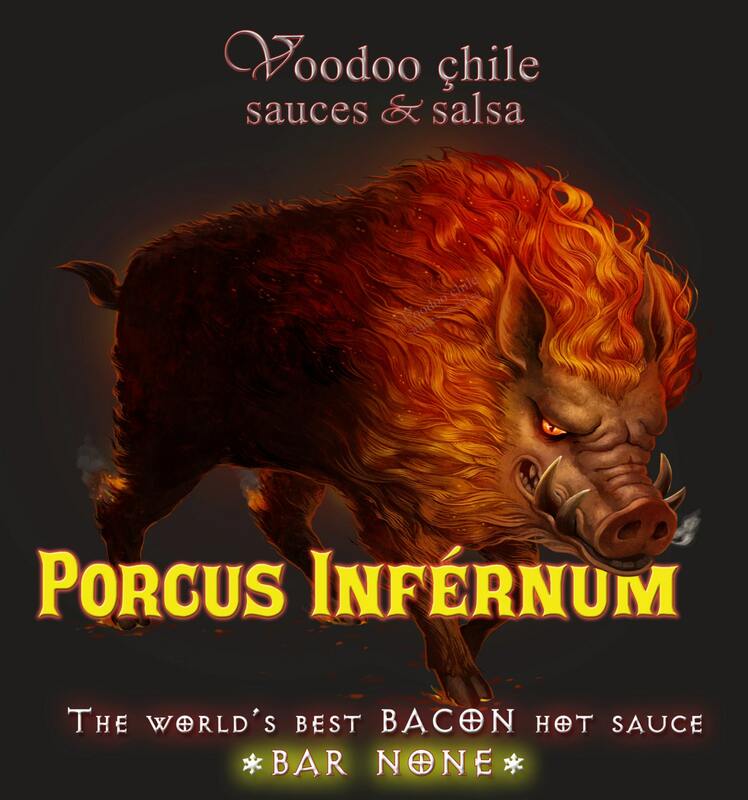 Bacon Hot Sauce – $7.99 – LOL Porcus Infernum! Bacon hot sauce with a hilarious name. Can’t vouch for the flavor, but it sounds like a good addition to a Bloody, and if nothing else you can laugh at the name forever. (Other bacon hot sauces also available in this listing). 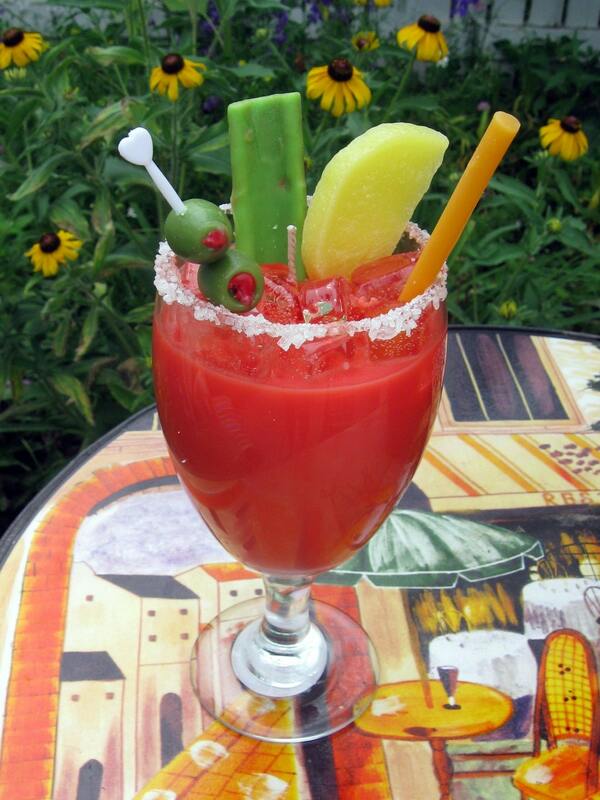 Bloody Rebellion Spice Mix – $4.95+ – A nice mix of classic Bloody Mary spices to spruce up your tomato juice at home. Available in a variety of sizes, it comes in a resealable pouch for easy storage. 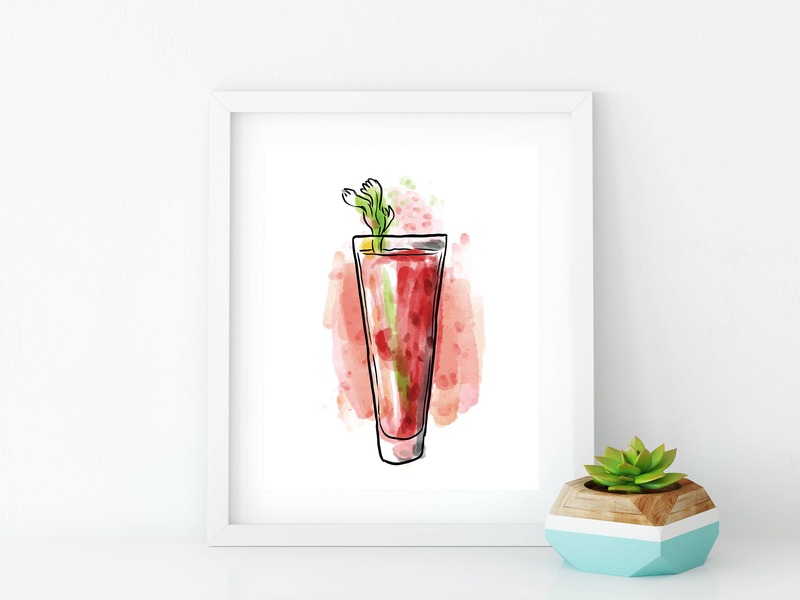 Bloody Mary Bar Sign – $6.95 – A nice artsy Bloody Mary print for your kitchen or bar area (or bedroom, or wherever!) FYI, It’s an instant download, so you have to get it printed and framed yourself. 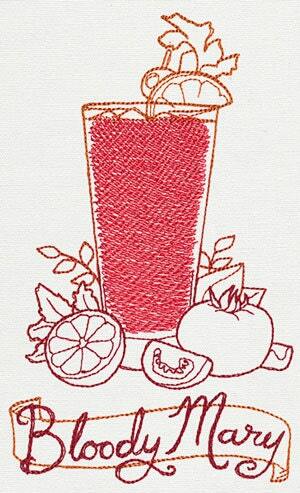 Embroidered Bloody Mary Towel – $15.99 – A cute embroidered kitchen towel with a design from Urban Threads. Choose your color of towel, or if you want the design on some other kind of item, the seller can put it on virtually anything! 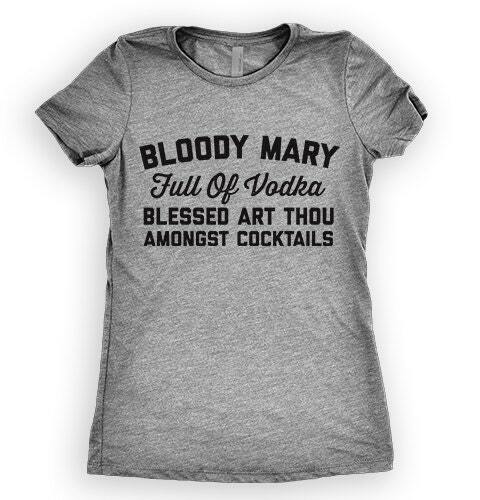 Bloody Mary Candle – $22.95 – Look at this amazing candle! It looks just like a real drink! 7″ tall, the glass can be reused after you burn it, but WHY WOULD YOU? The standard scent is a sweet orange chili, but you can pick another listed scent or work with the seller for something custom. 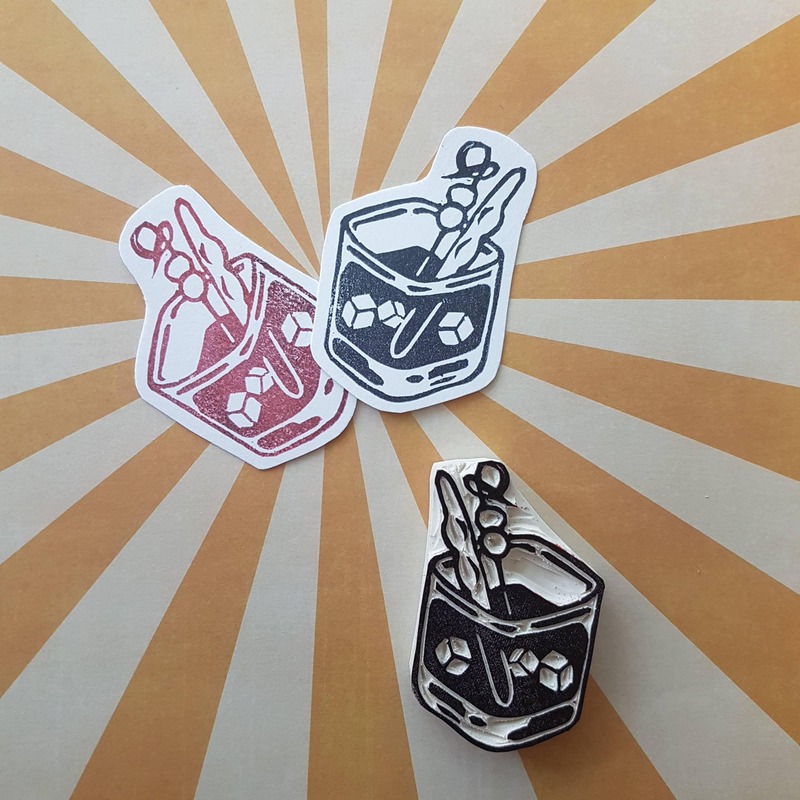 Custom rubber stamp – $14 – I haven’t used my rubber stamps in years, but if you’re a crafter, you might need this in your collection. 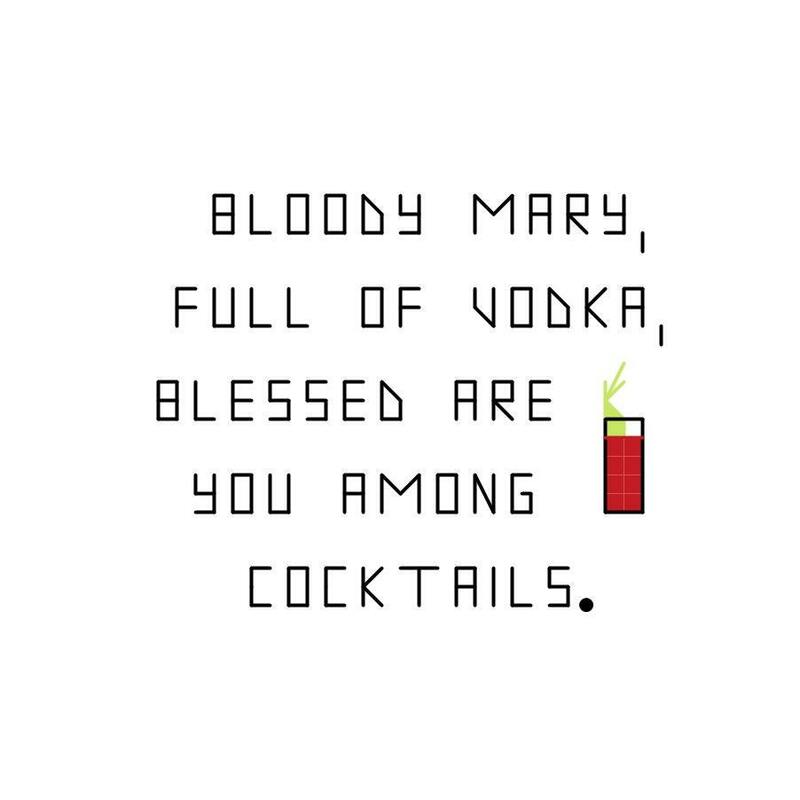 Bloody Mary prayer from Archer cross stitch – $4 – This hilarious prayer from the show Archer is available as an instant download cross stitch pattern. 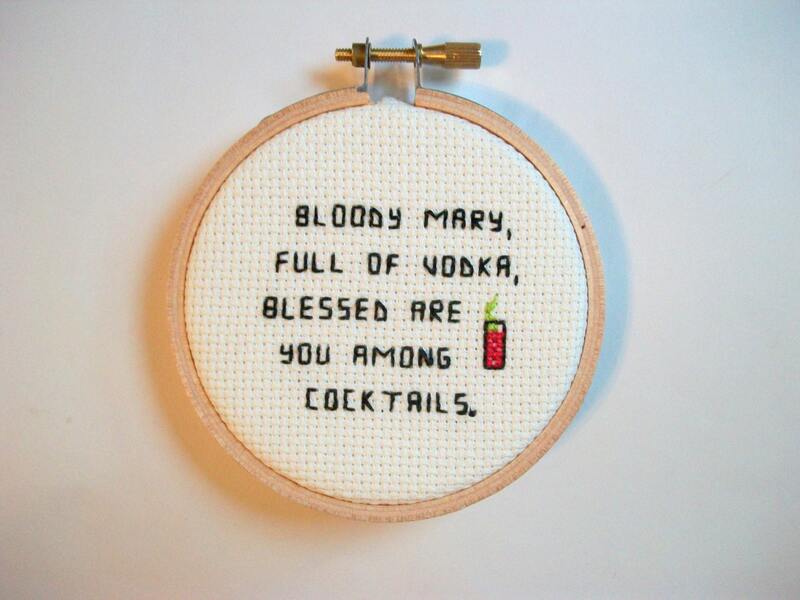 Cross stitch kit – $9.99 – Another version of the prayer, a bit simplified. If you’re a beginner this one comes with everything you need to get started. 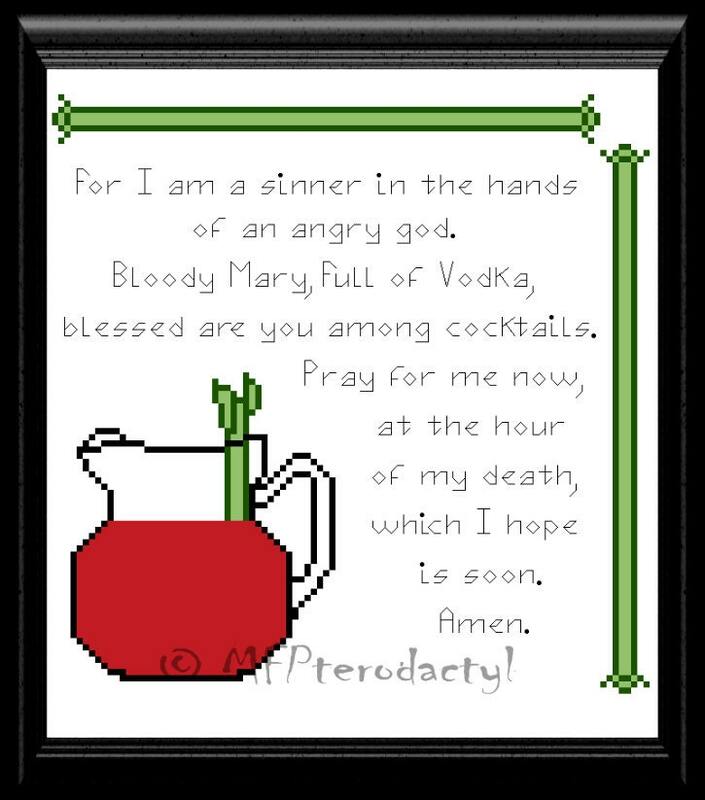 Ready made cross stitch prayer – $20 – And if you’re not crafty at all but still want a cross stitched prayer, you can buy it already made!! Custom painted shoes – $325 – Whaaaat? 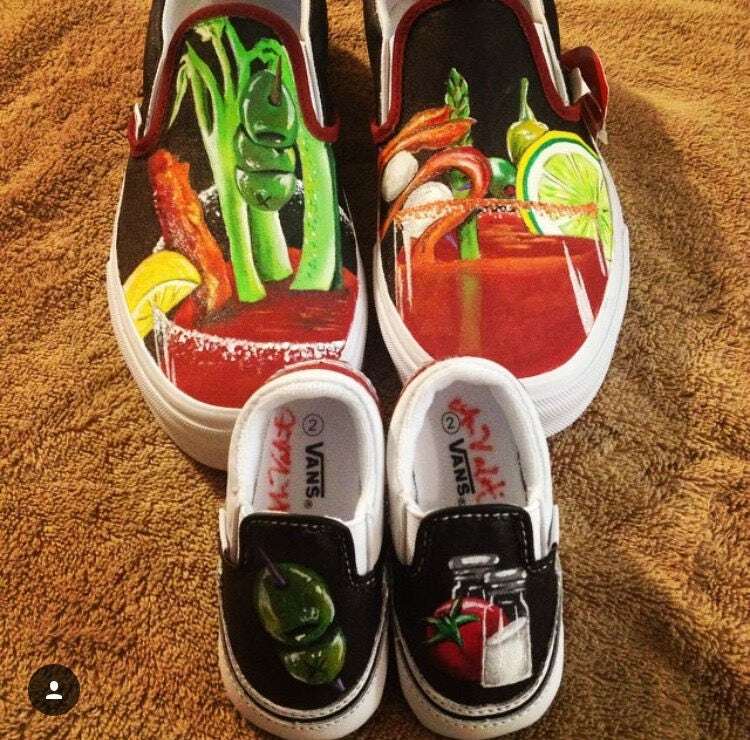 Custom painted Bloody Mary shoes! They are pretty awesome and well done, but (message to J) don’t buy me these!! I wouldn’t want to wear them and get them all messed up. That’s it for now. 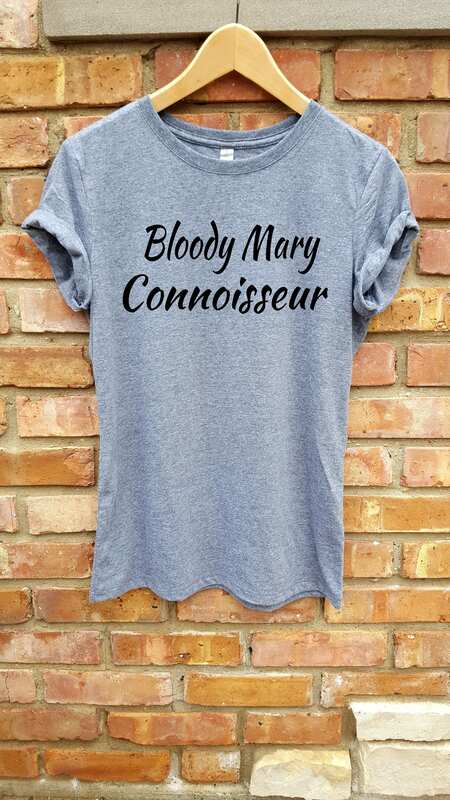 Feel free to check out my Bloody Mary Goodies Etsy collection, where you will find all these items and more as I keep finding new, cool things to add to it. 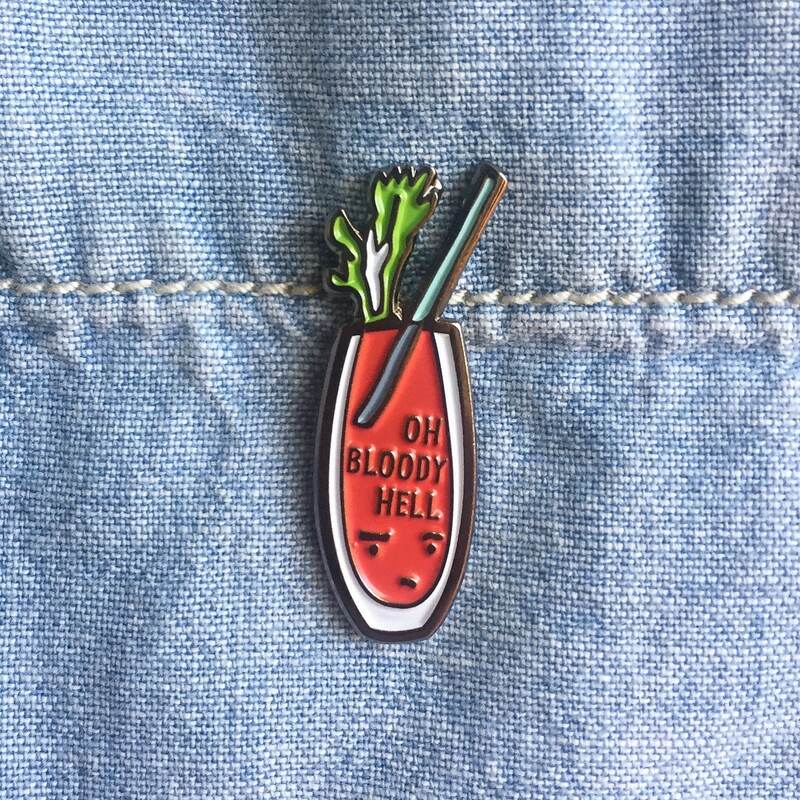 I hope everyone gets all the Bloody Goodies they want for the holidays!